Laser Eye Surgery, better known in the medical world as LASIK, is one of the most popular vision correction methods for a long time. It does offer some great benefits. However, it is not for everyone. There are quite a few situations where laser eye surgery alternative is not the best option. In some cases, it might not even be available. However, this does not mean that you are stuck with a thick lensed spectacle or whatever eye condition you are currently suffering from. There are some alternatives in the market that work just as well as LASIK. 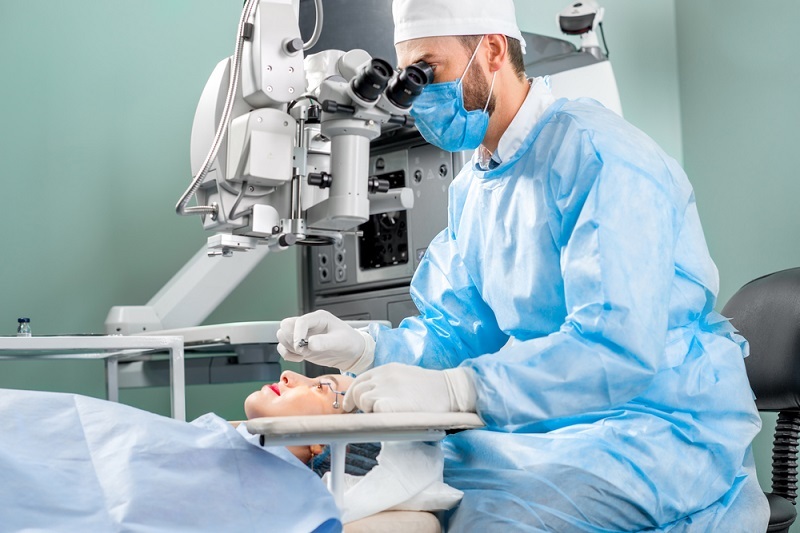 If you want to have your eye problems fixed, but do not or cannot go for LASIK, here are some of the best alternatives to laser eye surgery available. This treatment is regarded by many eye doctors as the laser eye surgery alternative. The procedure basically involves planting an artificial lens on the cornea. This lens is incredibly light and designed to have the proper power to adjust your vision to normal. Significant strides are continually being made in this technology to provide more effective and less risky solutions to patients. As it stands, phakic IOL carries little to no risk already. In the off chance that there is a problem, the implant can be easily removed. If your power is above -10, this is the best laser eye surgery alternative in the market now. Similar to the phakic IOL, cataract surgery is a primary choice for people suffering from, you guessed it, cataracts! The procedure is easy enough and in the capable hands of a reliable eye doctor, you should have your eye problem sorted out in just one sitting. If you want more details on the procedure, here’s the gist. Basically, the surgery replaces your natural lens, now damaged by cataracts with an artificial one. The lens will be made after carefully reading your specific eye problem and creating an artificial lens to address it precisely. How’s that for making you feel special! Don’t get confused. These two treatments are somewhat different. The reason we clubbed them is that they are used to correct the same condition, which is aging-related vision loss. Monovision is performed on people over 40 who are losing their reading ability. Basically, the doctors adjust one eye for far vision and the other for near vision. This gives the patient near complete vision. Refractive Lens Exchange, however, is mostly suggested to people over 50. This procedure has the same idea behind it as cataract surgery. The only difference is that they are going to fix your vision through it and not some hazy patch on your eyes. Like cataract surgery, this procedure implants artificial lenses into your eyes. These are mostly trifocal lenses and so, solve all eye problems. Apart from the ones we have already mentioned, there are several other alternatives to laser eye surgery depending upon your problem. For example, Keratoconus makes you eye bulge and can be correct with procedures like corneal transplants. However, prescription glasses are given first preference. Similarly, if you have dry eye, there is a new procedure called SMILE which is useful and used as a precursor to laser eye surgery if you must get it done. There are plenty of alternatives to laser eye surgery in the market. Visit a reliable eye doctor to know which ones will help you best and live life with perfect vision.